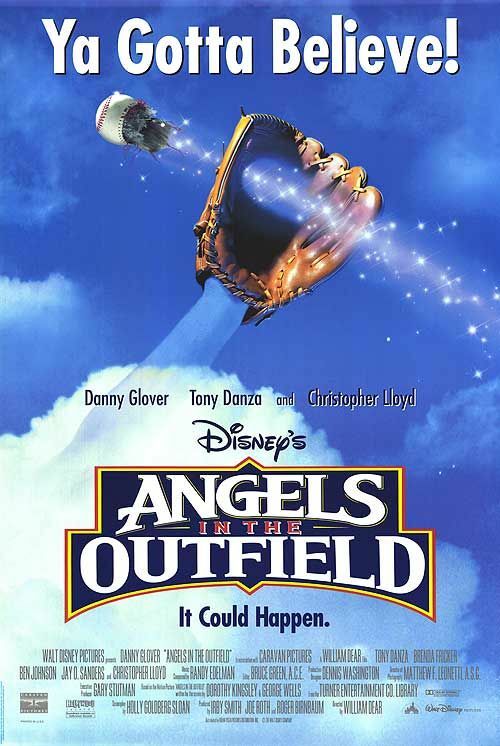 A young boy asks for a miracle to bring his family back together and to have his favorite baseball team win the season. Divine intervention ensues. VIOLENCE/GORE 2 - A few scuffles on the baseball field with the teams hitting each other, but it is all played to comedic effect. The manager is verbally abusive to the team, and some players get hurt while trying to play. LANGUAGE 2 - The F-word is alluded to but not actually said; a couple of mild profanities are used. DISCUSSION TOPICS - Foster homes, a losing team, spiritual issues. MESSAGE - If you believe, it could happen.